Leka can offer visitors various types of lodging. 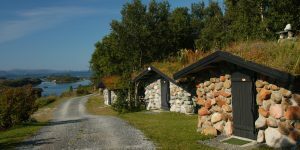 Perhaps the most special lodging are the stone cottages at Leka Motell og Camping. Basic lodging, but both fascinating and providing great views. 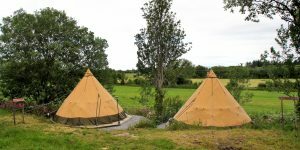 There are no conventional hotels on Leka, but both Leka Motell og Camping and Leka Brygge (Wharf) offer lodging in rooms with ready-made beds for which end-cleaning is included. 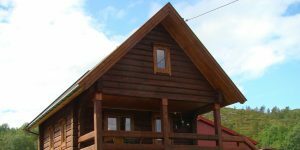 Ola-Han’s Cabin is a newly built log cabin. It has 2 bedrooms with sleeping for a total of 9 guests. 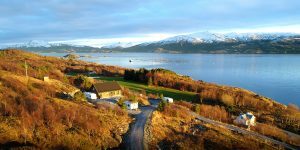 Stone cottages and caravan spaces with panoramic views. Motel rooms and high standard family apartments. Spacious rental boats with windshields and roofs (15-230 HP 4-stroke outboard motors). Leka Hytter offers accommodation in large and modern high-standard cabins at Leka island on the Namdal coast near Rørvik. Staying in a tent that feels like staying in a hotel. At Skei Kulturtun you can stay in big Lavvo's with ready made beds, included breakfast. Feel the fresh air and sleep close to nature !